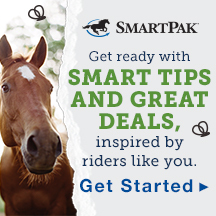 This article is brought to you by Athletux Equine. For more Athletux articles, please click here. It’s tax season, and you know what that means!!! With the average American slated to get back over $3,000 for their tax refund this year, it got me thinking … How should I spend all this extra money??? Extra student loan payments? No thanks! With all the responsible options easily crossed off the list, I had to turn to the professionals for some help. And since equestrians are basically the savviest shoppers on the planet, I sought out some top riders to ask what products they were head over heels in love with this year. Over the next few days we’re going to release the ultimate ultimate treat yo self checklist — equestrian style. Category by category we’ll discuss the products top riders deem worthy of abandoning the savings account. Let’s start with some everyday tools of the trade. Shopping sprees for these items hardly count because they’re so practical. Right? Right. “The Effol SuperStar-Shine Spray is incredible. We use it daily on the horses’ manes and tails and it keeps them manageable and silky, without any of the grime build up you get from other products.” — Matt and Cecily Brown of East West Training Stables. Where to buy? Jeffer’s Pet ($19.99). 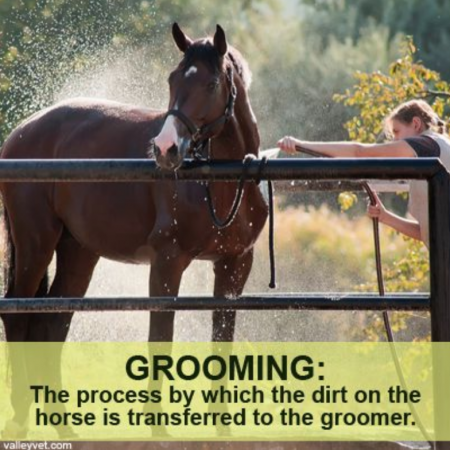 “Grooming doesn’t just mean keeping the horses looking great, they need to feel great, too. For us, that’s part of what makes Coat Defense Daily Preventative Powder an important part of the grooming routine. 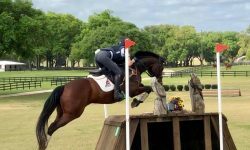 It’s easy to use and incredibly effective at eliminating any fungus, odor or other coat issue.” — John Michael and Kimmie Durr of Durr Eventing and Show Jumping. Where to buy? Check out a list of local retailers here. “With the addition of Sasha Fierce and Code of Conduct to the string, we’ve really learned what makes Bardsley’s White Wash the best whitening shampoo in the business. It’s great for spot cleaning at the horse shows, but gentle enough to use on their entire bodies for full baths.” — Hawley Bennett-Awad of Hawley Bennett Eventing. Where to buy? Bardsley’s website ($14-$55). 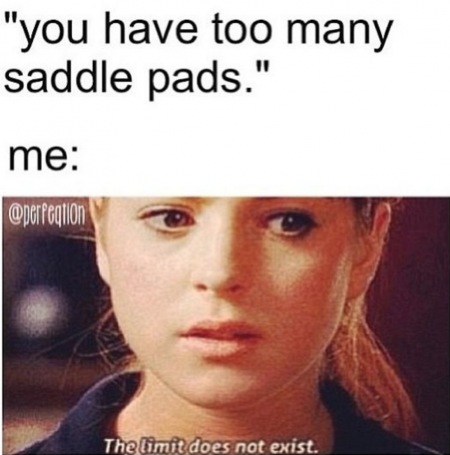 “There’s nothing quite as obnoxious as a saddle that rocks or slips back after sometime on the cross country course. Even a well-fitted saddle can shift if you aren’t using a high-quality breast collar. That’s why I’m so obsessed with my Devoucoux Kolibri Breast Collar. 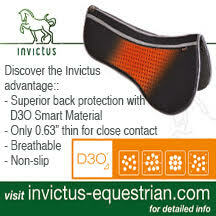 It’s a five-point breast collar which really anchors the saddle and prevents it from going anywhere. 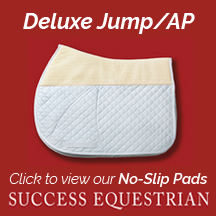 Plus, they’re absolutely gorgeous!” — Jenny Caras of Caras Eventing International. Where to buy? 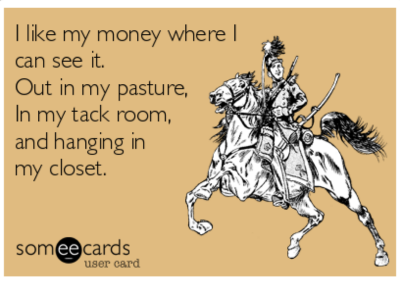 Contact Devoucoux tack representative Christine Phillips. “If you really think about it, your girth is one of your most important pieces of equipment and the difference between a good one and a bad one can wind up being really dangerous. We love our Total Saddle Fit Girths, they are incredibly high quality which is important, and their shape really makes a difference, we never see rubs with these girths. 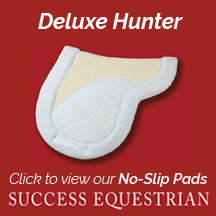 They’re also so soft and cushy, which the horses really appreciate.” — Tamie Smith of Next Level Eventing. Where to buy? Total Saddle Fit’s website ($129.95-$149.95). “There’s really nothing quite like the Walsh Shipping Halters. They are so plush and soft the horses hardly even realize they’re wearing them. Not to mention they look incredible, and it’s always nice to step off the trailer looking like a million bucks.” — Hawley Bennett-Awad. Where to buy? Walsh’s website ($288.06). Monty McFall caught red-handed. Photo courtesy of Jennifer McFall. 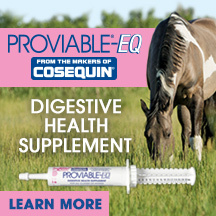 “I can really tell a difference when my horses are taking their Nupafeed Magnesium Supplements. It helps them stay relaxed and focused, which has been so important during all the travels we’ve had this year!” — Hawley Bennett-Awad. Where to buy? 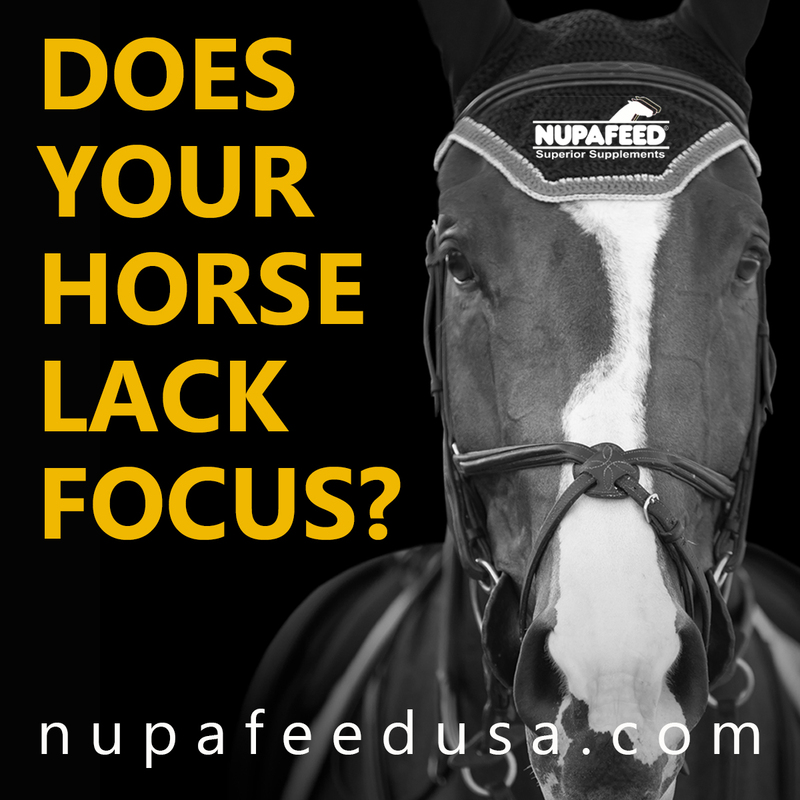 Nupafeed’s website ($13-$195). “We really like our Grand Meadows Supplements Grand Lytes. 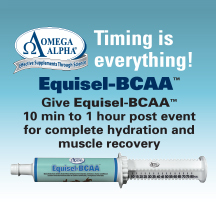 It’s always important to replace the minerals your horse sweats out, and traveling only increases that importance. 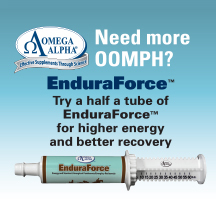 Having such a great electrolyte as part of the regular nutrition program makes our lives a lot easier.” — Dani Sussman of Aspire Eventing. Where to Buy? Grand Meadows website ($21.95-$79.95). “I don’t know what we’d do without Platinum Performance. They have so many different amazing products that make it easy to insure all the horses on the farm are getting exactly what they need. 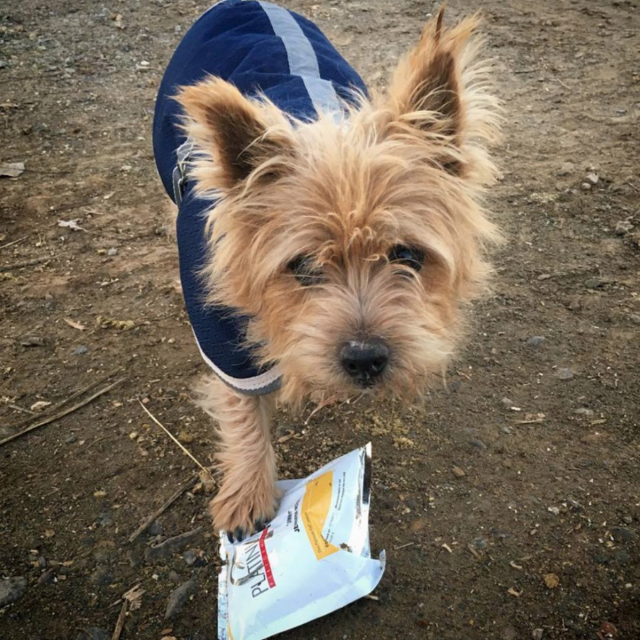 Bonus: Dogs are a fan!” — Jennifer McFall of Dragonfire Sporthorses. Where to buy? Platinum Performance’s website (starting at $61). 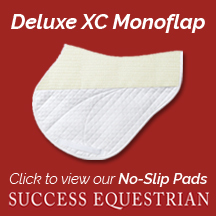 “I’m in love with my Fleeceworks Sheepskin FXK Technology Half Pad. The additional wither relief is great and the quality of the sheepskin is to die for. For a rider with lots of horses having something shimmable is really important. 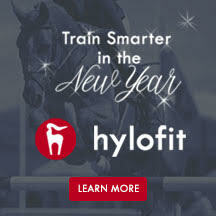 Plus, these come in beautiful custom colors that really set you apart from the crowd.” — Tamie Smith of Next Level Eventing. Where to buy? Fleeceworks website ($186). “It can get HOT in California, so we love the EcoGold CoolFit Jumper Pads. They fit really nicely and really seem to wick moisture away which can make all the difference.” — Hawley Bennett-Awad. Where to buy? EcoGold’s website ($195). 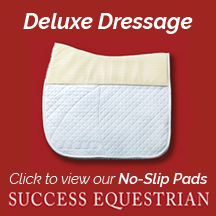 “I absolutely adore my Equine Comfort Product’s Cotton All Purpose Pad. The material of the pad is so soft and so durable. 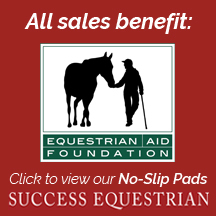 I use these pads on every horse in the barn with a special half pad and they really hold up incredibly well.” — Dani Sussman. Where to Buy? 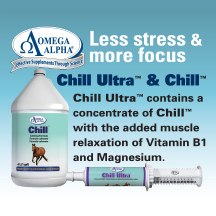 Equine Comfort Product’s website ($43.95). “One of my students is also an amazing entrepreneur! She makes these adorable horse treats called Heavenly Hoof Treats. 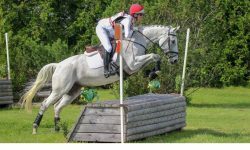 The horses absolutely love them and how cool to support a budding equestrian!” — Lauren Billys of Lauren Billys Eventing. Where to Buy? Heavenly Hoof Treat’s website (starting at $5.50). 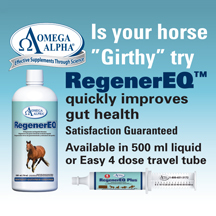 “All the horses absolutely love their Gumbits before a ride. 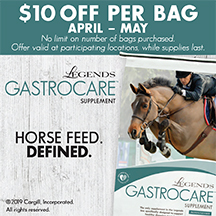 They make great treats for the horses and the benefits under saddle are amazing!” — Hawley Bennett-Awad. Where to Buy? 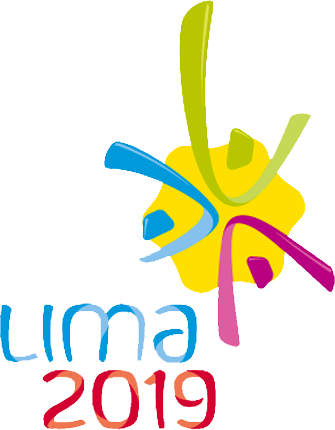 Check out a list of worldwide retailers here. “Basically everything Sterling Essentials makes is in day to day use around here. Their cleaner works so well and it’s so nice to have tack cleaner that doesn’t smell like tack cleaner.” — Matt and Cecily Brown. Where to Buy? Sterling Essential’s website ($7.95-$19.95). “Prime Time Leather Care are the only leather care products we use. Having a cleaner and conditioner all in one is really convenient and the scents are all so nice.” — Allison Springer of Allison Springer Eventing. Where to Buy? Here’s a list of retailers (prices vary).